Softcover book: Every Man's Marriage. Every Man's Guide to Winning the Heart of a Woman. 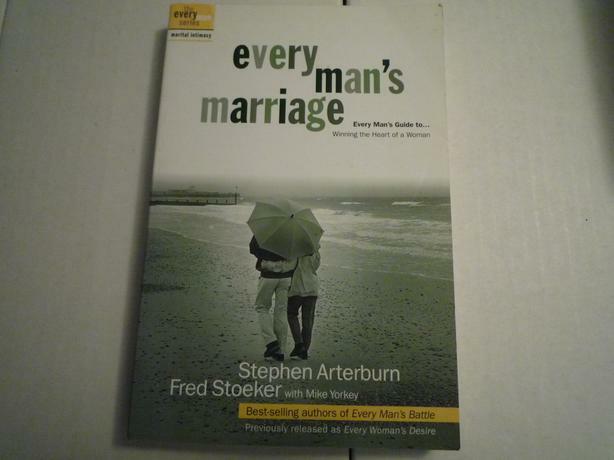 Written by Stephen Arterburn and Fred Stoeker with Mike Yorkey (Best Selling Authors of Every Man's Battle). What every man wishes he knew about what his wife desires most. This book has a biblical approach and is a terrific resource for establishing mutual respect and sacrifice in your marriage based on Christ's example of loving His bride, the Church.